Ms. Nancy' s blog: More than a quality label! 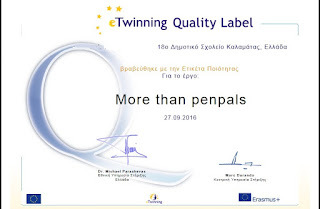 We are all very happy and proud as we have been awarded the national quality label for our eTwinning project More than pen pals. 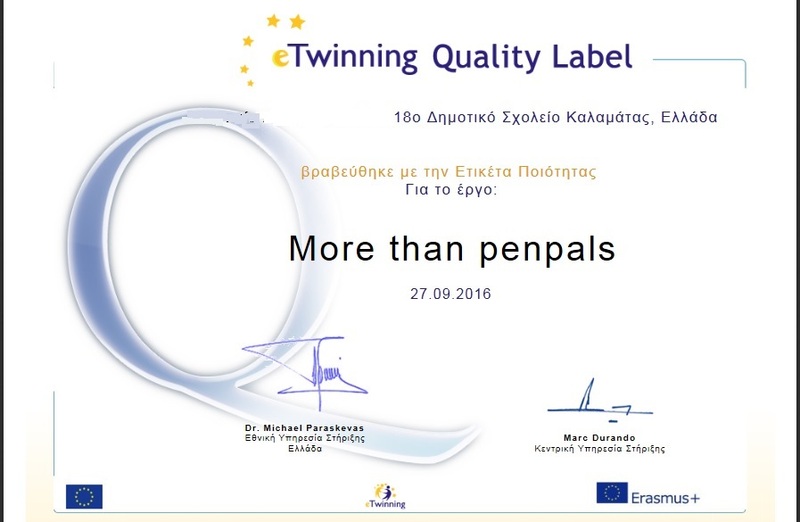 Congratulations to Δ1 class and our Polish, Spanish, Lithuanian and Turkish partners on their work last year!